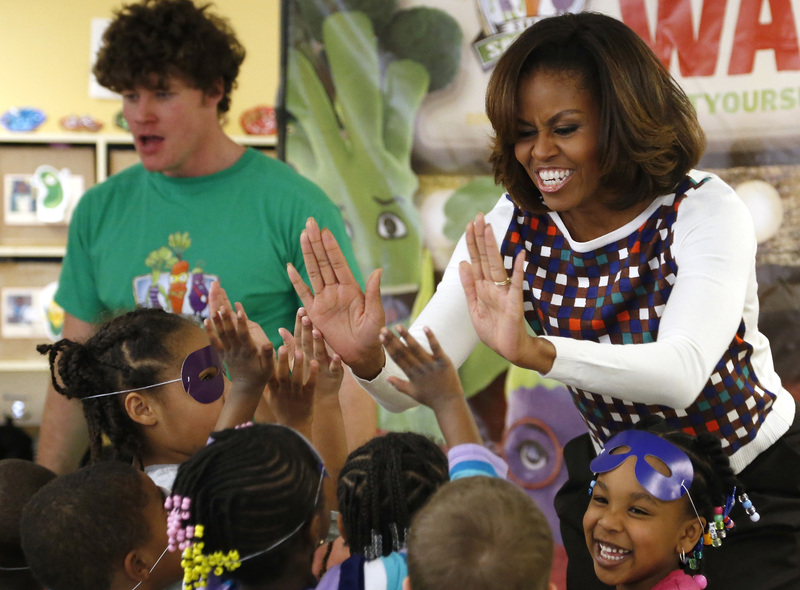 Reminiscing on the First Lady’s Visit: Grow Fit Draws Applause in D.C.
Today we were honored to be recognized by the Partnership for a Healthier America (PHA) for the work we do every day to help children Grow Fit and learn to make healthy choices. Speaking at the fifth Annual Building a Healthier Future Summit, PHA President and CEO Larry Soler recalled the impression our children made when First Lady Michelle Obama joined us as we announced our company’s commitment to joining the PHA and the Let’s Move! Childcare initiative. “When we announced the Learning Care Group child care commitment, we brought all these adorable 3-year olds into a room for snack time. On the table were tomatoes and cut up cucumber and carrots and hummus. The kids immediately were munching along happily – and even when the First Lady and press corps walked in, none of the kids stopped eating. I was incredulous – not because of the work we’d done, but as a parent! Anyone who’s tried to get a three-year to eat anything new knows that it’s very difficult the first time. But that’s exactly why I’m optimistic. Those kids – and so many others – are growing up in a world where those healthier snacks are the norm. Where fruit and veggies are expected, just like physical activity breaks and walking paths. They are growing up in a world where they’re USED to the healthy choice being the easy choice. Now in its fourth year, our Grow Fit program provides a clearly defined structure for nutrition and physical fitness at all of our schools nationwide. We’ve prioritized nutrition and fitness as a foundation for supporting children’s healthy development and ensuring they have the energy to learn. The program has become part of school culture through wholesome meals – including surprisingly sophisticated offerings such as hummus – curricular activities that emphasize movement and fun special events. It’s how we’re nurturing a healthier generation. Give your sloppy joes a healthy boost by adding lentils, which are high in iron, B vitamins and fiber! Your Biggest Nutrition Questions, Answered!